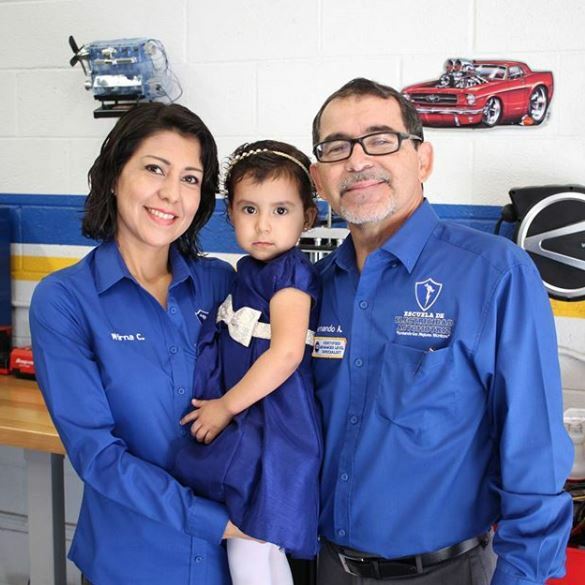 Local First Arizona Foundation Receives Funding from The Bob & Renee Parsons Foundation to Train Latino Small Business Owners. Fuerza Local was created as a direct response to the influx of predatory lenders who target low-income Latinos who often lack financial literacy and resources. The six-month business accelerator program is offered free-of-charge to underserved Latino business owners across Greater Phoenix. The curriculum teaches entrepreneurs the fundamentals to launch or develop their business while they build a solid credit score. This opens avenues for them to access the capital they need to grow their businesses. Lessons on topics such as accounting, cash flow projections, marketing and business planning are taught entirely in Spanish by bilingual industry professionals, giving participants the opportunity to learn from some of the best and most experienced business owners in the Valley. The Bob & Renee Parsons Foundation places a high value on reaching underserved and marginalized populations through its six areas of focus, two of which are education and the American Dream. The Fuerza Local program is one of Local First’s many programs created to address these areas by supporting underserved populations and growing entrepreneurs, which ultimately builds stronger economies. Local First connects underserved entrepreneurs to opportunities in an effort to improve their success rates. Investing in underserved communities through entrepreneurship is a successful strategy for building self-reliance and community wealth. These programs have created jobs, expanded businesses and reduced the reliance on social services. Since 2016, the 304 Fuerza Local graduates have generated more than $14 million in new gross sales, created 536 new jobs and contributed significant gains in tax revenue for Arizona’s economy. To learn more, visit localfirstazfoundation.org.